I don't usually use fractal images as art images until I add to them in some way or another. However I was very happy with this one just the way it turned out. 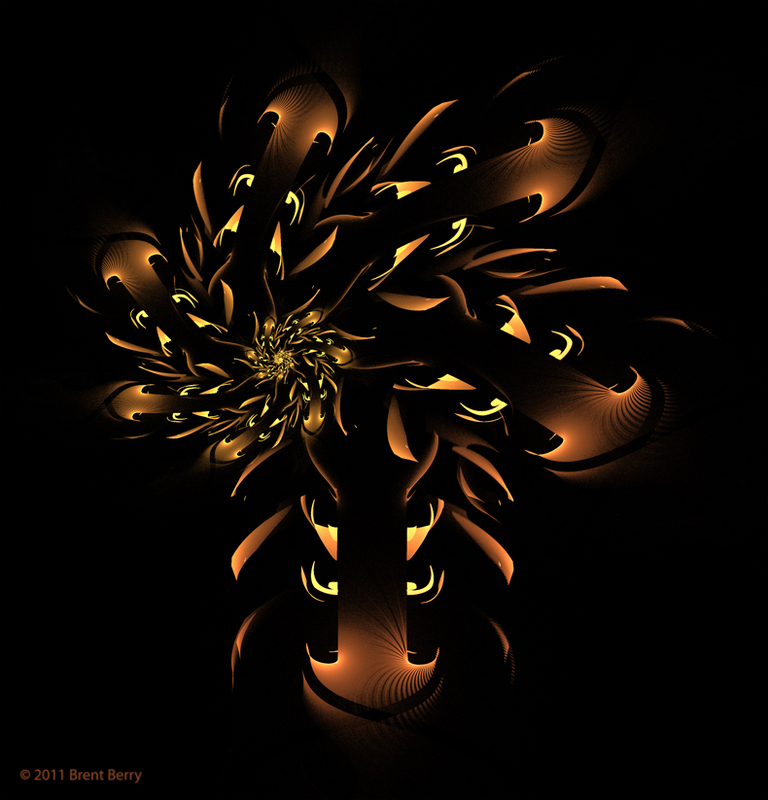 It was created using Apophysis. I use and recommend Adobe Photoshop and Apophysis Fractal Flame Editor for Windows.